Grabbed a 12oz. bottle to try, although I saw some 6-packs in Portland for a lesser price. But, I am in Vancouver, and distribution is kind of a fuggly mess up here along with a side of B.S. Alaskan’s spring seasonal release is a new beer experience created from a combination of traditional beer styles. Alaskan Black IPA has the appearance of a porter or stout but combines the roasted malty characters with the refreshing flavor and bright aroma of an American IPA. Alaskan’s spring seasonal features the hop-forward profile of an IPA with the dark black color and flavors of a fuller-bodied porter. A burst of fresh, citrus notes from Cascade and Centennial hops balance the hints of coffee and bitter chocolate with a subtle toasted sweetness and dark fruit highlights leading to a pleasantly dry finish. The Black IPA style is also known as “American-style India Black Ale” or “Cascadian Dark Ale,” and though we still may not know what to call it, we do know it’s dark, hoppy and we can’t get enough of it. 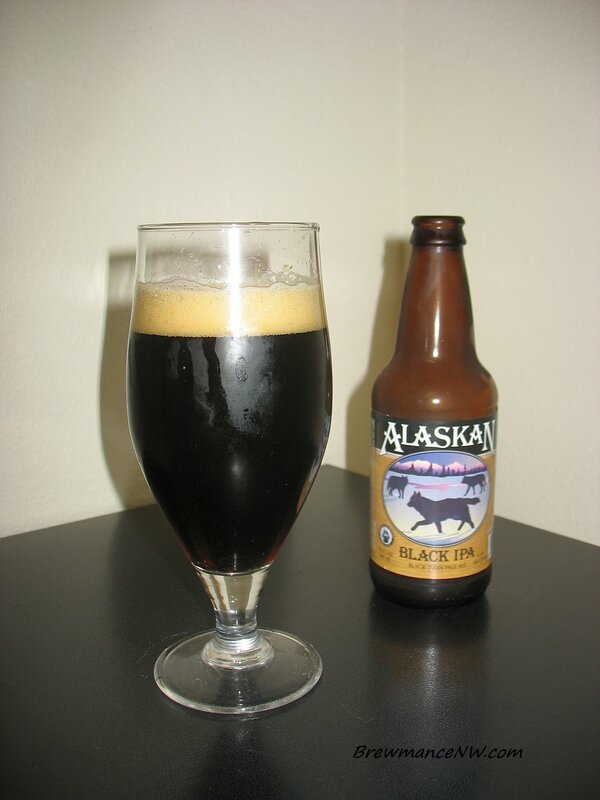 Alaskan first shared their take on this new style with the limited Pilot Series release of Alaskan Double Black IPA. This spring release is a more sessionable version with the same surprising balance between hops and roasted malts. 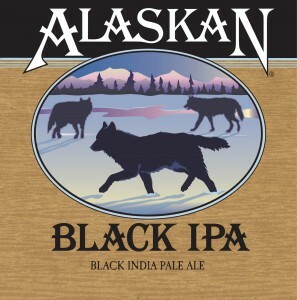 Alaskan Black IPA is made from glacier-fed water, generous additions of Cascade, Centennial and other Pacific Northwest hops, and an array of eight different pale, caramel and chocolate malts. The combination of big citrus and dark malt flavors make Alaskan Black IPA an outstanding pairing beer for dishes that combine sweet and savory. This includes everything from chocolate & ancho-chipotle rubbed pork, fried chicken and waffles or curried chocolate. Alaska’s frozen rivers and lakes begin to melt as the rising temperatures of spring breakup release them from winter’s icy grip. Wolves tread carefully on this ever-changing terrain during their daily treks of 30-125 miles through territories that can range up to 1000 square miles. Alaska’s highly social wolves roam in packs, their silver and black coats providing a stark contrast to the icy plains and alpenglow of the snow-covered tundra. Alaskan Spring Ale welcomes the changing season as wildlife and humans alike emerge to savor the arrival of spring. 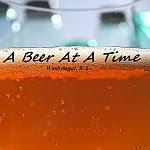 - Nice couple fingers of light mocha-tan head that settle over the beer with a thing layer forming a large island covering most of the brew, and lace about the glass where the head made its mark. Overall the way it should look. - Light sweet grainy aroma. I want a CDA to smell like this. Mild cocoa, biscuit, grassy bitter hop, and subdued flavor. It's mild, and good. Smells well balanced and drinkable. Just simple and well put together. - A rather light flavor anyway. Biscuit, husky grain, light cocoa, some light esters, grassy hop, and some herbal hop. It is very well balanced, and every flavor seems to be trying to hide itself behind the other. I love the balance in flavor. - This is where this beer suffers a bit I think. It is rather heavy bodied and thick for such a low abv beer. It's chewy (which isn't a bad thing), but yet thick and viscous. I get a thick chalky feel in it which makes it a little difficult to drink. It's a tad drying from its nice bitterness. - A solid CDA/Black IPA. I think the taste is great, and even the look... but there is just something a little too thick about it that makes it hard to drink. I would love to be able to guzzle a few pints of a good CDA on occasion, but with this puppy, I may switch to another light drinker.